The Perth Mint released its latest Lunar Series II coins, and as usual the designs are stunning and the finish beautiful on these popular coins. 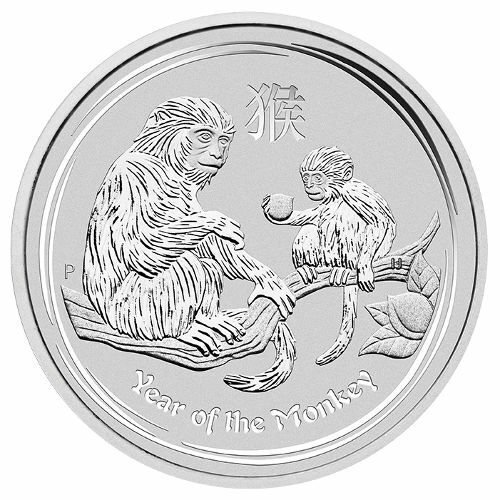 The Year of the Monkey features a robust offering of silver and gold products, with multiple weights available in both versions. 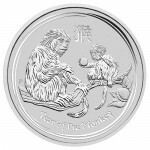 Right now, you can purchase a 2016 1 oz Silver Australian Monkey Coin in Brilliant Uncirculated condition on Silver.com. Mintage limited to just 300,000 coins worldwide! Each coin ships in a protective acrylic Perth Mint capsule. Face value of $1 (AUD) is backed by the government of Australia. All-new Year of the Monkey design for 2016. Lunar Series II is a 12-coin program from the Perth Mint that consists of silver and gold coins produced in both bullion and proof versions each year. In any given production year only one coin design will be released, representing the animal appearing on the Chinese Lunar Calendar for that year. In Chinese lore, the Zodiac was created by the Jade Emperor following a call to meeting for all the animal species of the world. When only 12 animals answered that call, the Jade Emperor honored them with a sign on the lunar calendar. Those born under a particular animal share characteristics with that animal. 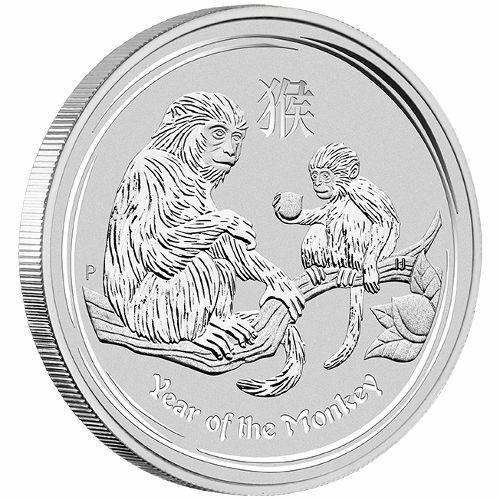 The 2016 1 oz Silver Australian Monkey Coin has a unique design differentiating it from previous Lunar Series coins, and from the gold version. On the reverse, an adult and young monkey are featured sitting in a tree, with the young monkey holding a peach in its hands. On the obverse you’ll find the standard right-profile portrait of England’s Queen Elizabeth II. 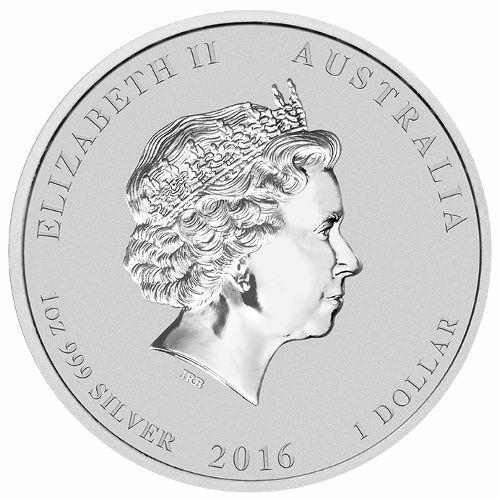 Created by Ian Rank-Broadley, Her Majesty’s effigy has featured on the obverse of Perth Mint coins since 1998. Perth Mint is Australia’s oldest operating mint, and is one of the most highly regarded facilities in the world. Founded in 1898, it is the only surviving facility from the British Royal Mint system established during Australia’s colonial period. Today, its coins enjoy legal tender status courtesy of the Currency Act of 1965. If you have questions, Silver.com associates can help. Please feel free to reach out to us at 888-989-7223. You can also connect with us online by using our website’s live chat feature or submitting your questions via email. If you are looking for something similar, be sure to check out Silver Perth Coins page.